○ Joint Mobilization: application of targeted manual pressure to help improve mobility in your joints; ranging from joints in the arms and legs, to the spine, and even the joints of the jaw. ○ Joint Manipulation: application of high velocity manual pressure to a specific joint to help reduce pain and improve mobility in your body. ○ Soft Tissue Mobilization: let’s face it, sometimes areas in your body get tight. Massage is great at loosening up these areas and helping things to relax. 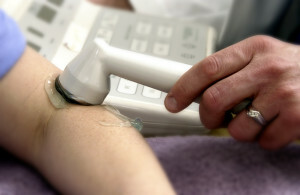 Soft tissue mobilization is the manual manipulation of scar tissue, trigger points, or other superficial restrictions using a variety of massage techniques. ● Therapeutic Exercise – therapist guided exercises that help improve strength and mobility, without undue stress on the painful or limited part of the body. Basically if you stretch where it’s tight and strengthen where it’s weak you can expect your body to accomplish great things with regards to healing. ○ Equipment – Therapists at the Fit Stop use a variety of equipment depending on the phase of rehabilitation. Some examples include body weight challenges, the use of free weights or exercise bands, and at times accessing state of the art fitness equipment provided in the Fit Stop Health Club or The Gym Health Clubs at City Creek and Station Park. ○ Home Exercise Program – an important part of your physical therapy treatment will include specific exercises to be performed independently between therapy sessions to help speed up the rate of recovery. We feel it important to emphasize home exercises as that’s where the majority of healing takes place. Think of it – you’re only in physical therapy on average 2-3 hours a week. That’s only 2% of the hours you have available in a typical week; you need to be actively participating in your rehab at home to see the results you’re after! ● Neuromuscular Re-education – Neuromuscular re-education refers to training (and re-training) the muscles and nerves in your body to function normally again. In many cases, muscles will have atrophied significantly, or balance impacted to such a point that neuromuscular re-education will be a critical portion of your therapy. ○ Neuromuscular Electrical Stimulation – the use of targeted electrical stimulus to help atrophied muscles regain the ability to properly contract again. This is commonly used after surgery or sometimes after nerve damage. ○ Balance training – retraining specific elements of the balance system that are often impaired secondary to age, surgery or some other traumatic event. 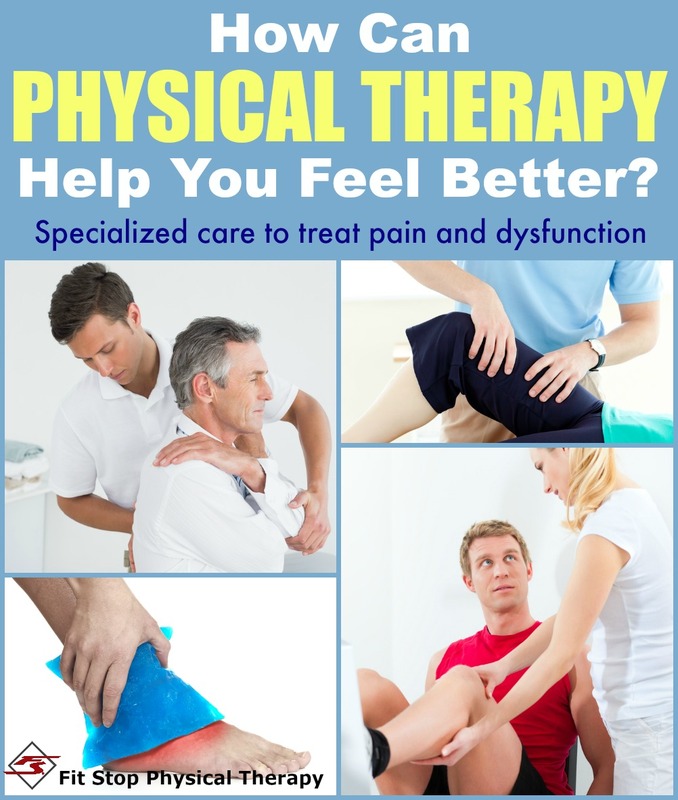 ● Modalities – As physical therapists we have a vast array of tools we can use to help your body recover. “Modalities” refers to a variety of physical agents used by physical therapists to help reduce pain, increase or decrease blood flow, reduce inflammation and improve ease of mobility. ○ Moist Heat – at times used to help improve tissue elasticity prior to manual therapy. It is also used for pain control. ○ Electrical Stimulation – a gentle electrical stimulus used to help facilitate pain control. ○ Ultrasound – A high frequency sound wave used to help facilitate deep heat in tissue. This deep heat can help improve tissue elasticity prior to manual therapy. On a certain setting, it can also be used to help decrease inflammation. This list is by no means exhaustive, but hopefully gives you a good idea of some of the treatments you can expect to receive from your physical therapist at the Fit Stop. In the capable hands of your physical therapist, these treatments will help ease pain and discomfort and maximize your mobility, strength, and function. If you have any questions or concerns we would love to hear from you! Please contact us by CLICKING HERE and we would be happy to assist you!